NiceButton is a customizable button control for Asp.Net that provides very nice buttons made with sliding door technique. 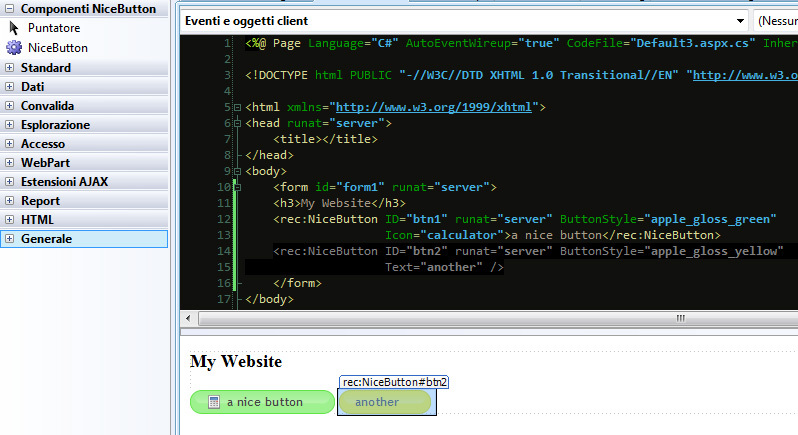 It has all the functionalities of standard LinkButton/HyperLink in .NET framework, and supports also VS design mode. Well commented source code, as VS2010 C# Project, so you can modify or extend it as you like. 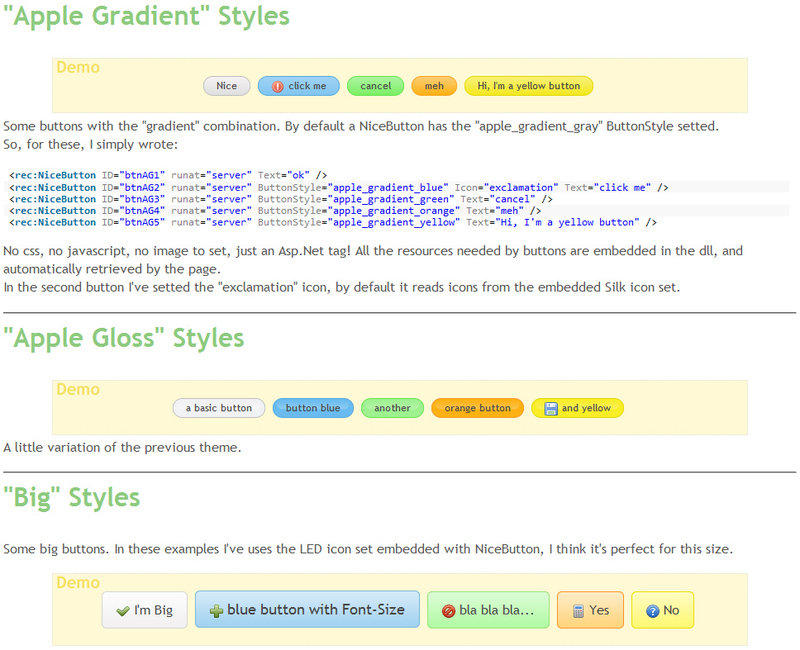 Documentation files, with a simple guide on how to design your buttons. Demo site with various examples of usage. Layered Photoshop .PSD of embedded styles. A little note on IE6 compatibility: the control has a “structural” compatibility with IE6, that means it builds proper html/css to work with it, BUT the embedded styles is provided as .png working as background-image of the link, and there’s no way to get it to work fine in IE6. Anyway you can use your own styles, as gif, and it will work perfectly also in IE6. Take a look to the demo for more infos! And if you like this control, rate it! Added support for disabled state (Enabled=”False”).